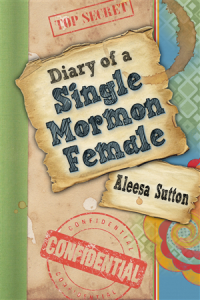 According to Scott Hales, our resident book expert, Aleesa Sutton's self-published Diary of a Single Mormon Female "... is a fun book with a lot of insight into the lives of single Mormons. The book is made up of excerpts from Sutton's journals since the time she was a starry-eyed (and boy-crazy) pre-teen intercut with snarky bits of commentary from her older and wiser self. The combination is hilarious and heartbreaking." The following MMM readers have won a copy. Winners must respond via email with their addresses by Friday, May 31st to claim their book. If you didn't win, buy Aleesa's book.